This article was just updated! You can view the new version here. It compares Android 4.1 to iOS 6. I recently switched from an iPhone to an Android phone and was surprised how easy the transition was. That says a lot about how far Android has come over the past year. While everything is still fresh in my mind, I want to talk about the strengths of each operating system (OS). I’ll start with Android 4.0, and then list the advantages iOS has over Android. There are so many different ways you can customize an Android phone that it would be almost impossible to list them all here. Here are a few of the ways you can customize your Home screen(s). Widgets – Widgets can be placed on any of the five Android home screens and provide you with things like weather updates, stock quotes, recent e-mails, or your daily calendar. Widgets are accessible, always visible and updated in real-time without needing to launch an app. 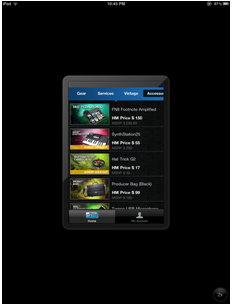 Widgets also provide easy access to both system and application settings. Want to disable Wi-Fi or GPS services? Use a widget. You can get widget-like apps for the iPhone, but they can only run on your lock screen, and some require a jail-broken phone or third-party widget executor software. Easier screen organization – It’s much easier to rearrange the home screen locations of your apps on an Android phone. If you’ve ever tried to move an app several screens on an iPhone without rearranging the existing apps, then you know what I mean. It’s almost impossible to do. Moving wallpapers – Live wallpapers are pre-installed on all Android 4.0 devices. They allow you to run cool animations on every home screen, without rooting your phone, or needing to use a third-party app. More accurate GPS – The GPS on the iPhone is often inaccurate when you’re in a large city, or at an event with many people. Sometimes it shows your location hundreds of feet from where you are — even when there are only a few mobile devices in the area. My Android phone uses a compass, Wi-Fi, a barometer (for altitude) and other techniques to improve its GPS accuracy. The difference in GPS accuracy between it and an iPhone is dramatic. Turn-by-turn directions – The Google Maps app is much better on Android than iOS devices. Its turn-by-turn directions are far superior to any free navigation app you can find for iPhone. It’s even better than paid services like Verizon’s VZ Navigator and most automotive GPS systems. Google Maps also has other important features you won’t find on other maps including offline maps, transit maps, walking directions, Street view and indoor maps. You’ve probably heard most of these advantages before. They’re all still true. System Intents – It’s easiest to explain this by contrasting a iOS app with an Android app. When I click Share on my free Android “Notes Lite” app I have 15 choices including the ability to share via Dropbox, Bluetooth, Email, Facebook, Gmail, Google+, Text Message, Twitter, WordPress Blog, and six more options. [The actual list of intents varies depending on which apps you have installed.] When I click Share and Print on my $10 Apple “Pages” word processor app I’m given five sharing choices: Email, iWork, iTunes (useless), iDisk and WebDAV (useless). Google realizes they cannot be best at everything and allows their customers to choose which services they would like to use. Almost all Android apps support this feature. Flash support – The lack of Flash support is probably the best-known iOS limitation. I can’t tell you how many times someone has sent me a link to a video I couldn’t watch on the iPhone or iPad because it was Flash. Android users don’t have to worry about this. 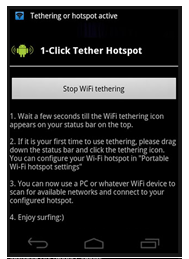 Better free Wi-Fi tethering – There are several good free Wi-Fi Tethering apps in the Android Market which don’t require you to root your phone. These apps allow Android users to share their network connections with their computers and tablets. This advantage can save you about $20 a month. Tethering is possible on iOS devices only after you jail-break your phone and download a paid app from a third-party app store. True multitasking – Apple places restrictions on background operation for third-party apps. In most cases, they are suspended and not allowed to communicate with other apps. Android has no such restrictions and supports true-multitasking. This has changed the way I use my phone, and allows me to do things which weren’t possible on an iPhone. 3rd-Party App Stores – There are quite a few good alternative app stores for Android users including: AppBrain, GetJar, Handango, Handmark, and the Amazon App Store, which offers one paid app a day for free. The only apps which can be installed outside the Apple app store are called Cydia apps. Cydia is only available for jailbroken devices. No need to sync media – It’s a hassle to get anything but photos on or off of an iOS device. With Android devices you just connect a USB cable to your computer and drag and drop your files. There’s no need to use iTunes (or other apps) to sync files. More advanced notifications – Although notifications have improved in iOS 5.1, Android still has advantages in this area. For example, you can tell at a glance what types of notifications have occurred, and clear all with a single click. Easier to root/jailbreak – In most cases it’s easier to root an Android mobile device than it is to jailbreak an Apple mobile device. One reason for this is because Apple has devoted significant resources to prevent jailbreaking and prevent jalibreaking apps from appearing in the App Store. Some of the most popular apps in the Android Market only work on rooted devices. Easier access to app settings – Android users can either use an in-app Menu button, or onscreen widgets to manage apps settings. iPhone users must use the Settings app every time they want to change app settings, or turn off Bluetooth. A more open marketplace – The Android Market has far less restrictions than the App store. There is a long list of apps Apple won’t allow, including apps which compete with iTunes, free Wi-Fi tethering apps, VoIP apps which use technologies like Google Talk, and great utilizes like Farproc’s Wi-Fi Analyzer. More screen unlock options – Android now has five different ways to unlock your screen: A slider which lets you access the home screen or camera, pattern unlock, PIN unlock, password unlock and a flashy new Face unlock, which unlocks the screen when you hold the phone up to your face. Back button – Android’s Back button can be very useful on some apps and sites. For some strange reason, the iOS home screen (and many iOS apps) doesn’t allow you to go back. Android 4.0 has other important advantages over iOS 5.1. You probably haven’t heard of these before, but they are very important to me. More Stable – Apps Crash Less – One of the first things I noticed when I switched to Android, is that apps like the browser crash much less. Apparently I’m not the only one who has experienced this. A recent study published in Forbes magazine, shows this to be true. Better Wi-Fi to cellular switching – My iPhone had so many problems switching from Wi-Fi to 3G, that I had to turn off Wi-Fi much of the time. Once my phone saw a wireless access point it recognized, it would try to connect even when the signal was poor and data transfer rates were slow. Apple makes some tablet users choose between distorted text or apps which don't occupy the entire screen. More Tablet-friendly – There is no need to push a 2x button to run older Android apps on a tablet. Older apps stretch to fill the larger screen without the types of distortion you see when you use the 2x mode on an iPad. A Better Web browser – I’ve tried all of the best iOS browsers (Dolphin, Opera, Atomic Web, etc.) and none of them beats Chrome running on Android 4.0. See for yourself. On Android you can also set an alternative browser as your default. This is not possible with iOS. Better app updating – My iOS devices sometimes only show available updates after I launch the App Store app or iTunes on my computer. And every time I update an app I’m asked to enter my password. Android doesn’t have either of these issues. Better Facebook App – I was very surprised to find that ‘Facebook for Android’ is now better than ‘Facebook for iOS.’ ‘Facebook for Android’ doesn’t lose its place when you go back after reading a post. It also doesn’t crash when you try to browse a lot of posts. Easier Exchange setup – I was also surprised that it was easier to setup access to my corporate e-mail account on an Android phone than it was on my iPhone. All I had to do was enter my e-mail and password and my contacts and calendars were synced with my Android phone. Apple needed to know my companies server name, domain name and username — in addition to my e-mail and password. Better in-line spell checker – Apple’s infamous spell checker has spawned many spell check parody sites like this one. The Android in-line spell checker and suggestion modes work better than Apple’s. I like the way it provides four suggestions, and doesn’t try to auto-insert as many words. It also has a mic button on the keyboard, which makes it easier to speak your words. The iPhone’s onscreen keyboard used to be superior, but with Android 4.0 the difference is much smaller. Better voice searches – Android has better voice recognition and more relevant search results than Siri. Don’t believe me? Ask Apple co-founder Steve Wozniak. You can read more about his thoughts about the accuracy of Siri here. Before anyone gets too excited about any of this, I’d like to say that my comments above are my personal observations. This isn’t intended to be a comprehensive list. I know I’ve left a few important things out like NFC. My comments are based on my observations over six months of usage. I use iOS 5.1 and Android 4.0 every single day and view them as equal in many ways. If it seems like I’m stressing Android’s advantages over iOS, it’s because most people think the iPhone is still far ahead of Android and that is no longer true. Even in the area of mobile UI design, Android 4.0 is now beating iOS in some areas. Case in point: Android 4.0 was just awarded best platform experience by Parsons School of Design. More info. Tomorrow I’ll try to be equally passionate about iOS’ advantages over Android. Check back and see how I did. Yes’ android is better than ios.